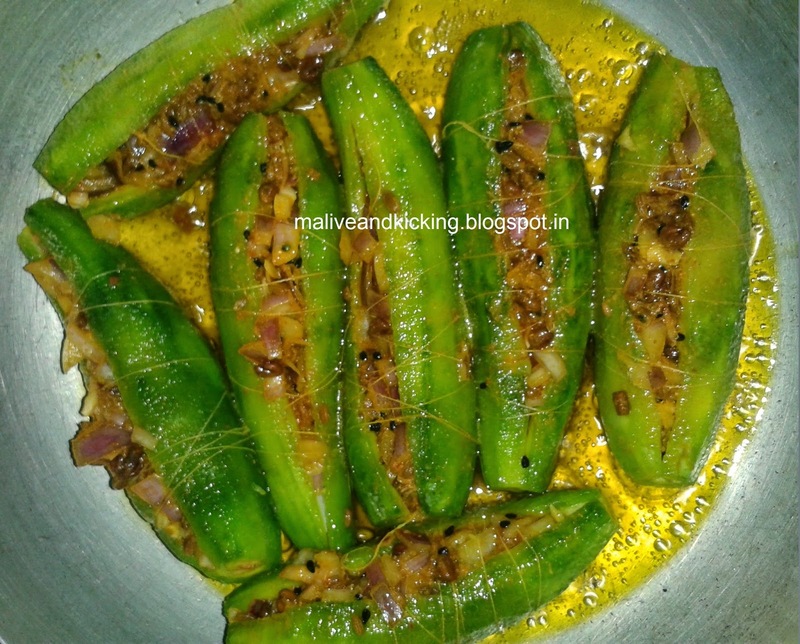 Last night I cooked karelas (bitter gourd) on hubby's request. 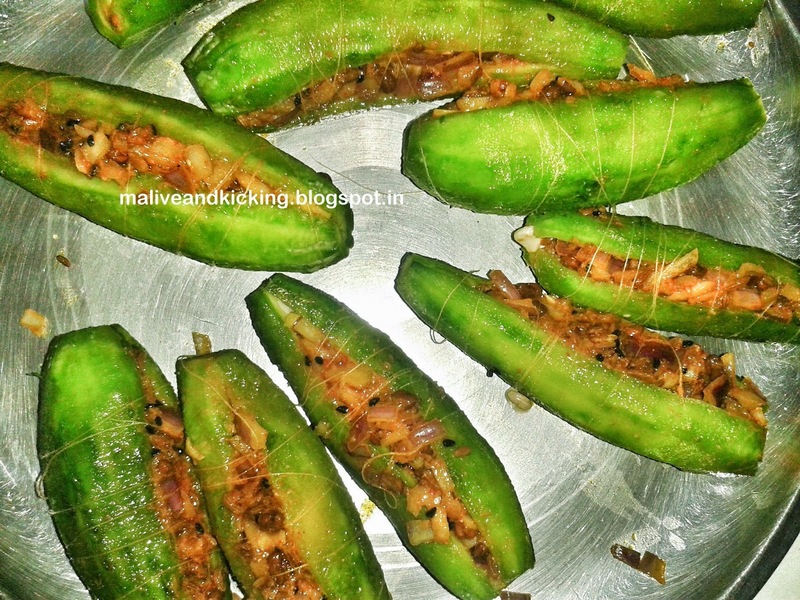 Though raw karelas are quite bitter in taste; but when these are cooked in proper way, they taste delicious and provide health benefits too...Many people cook it differently either by chopping in circular pieces or with some dry spices with potatos, but since my childhood my mom always cooks karela with stuffing in it. 1. 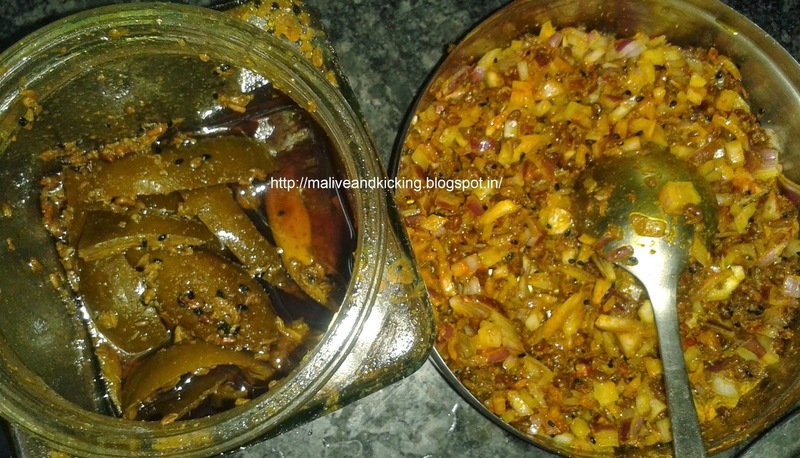 Wash and peel the karelas. 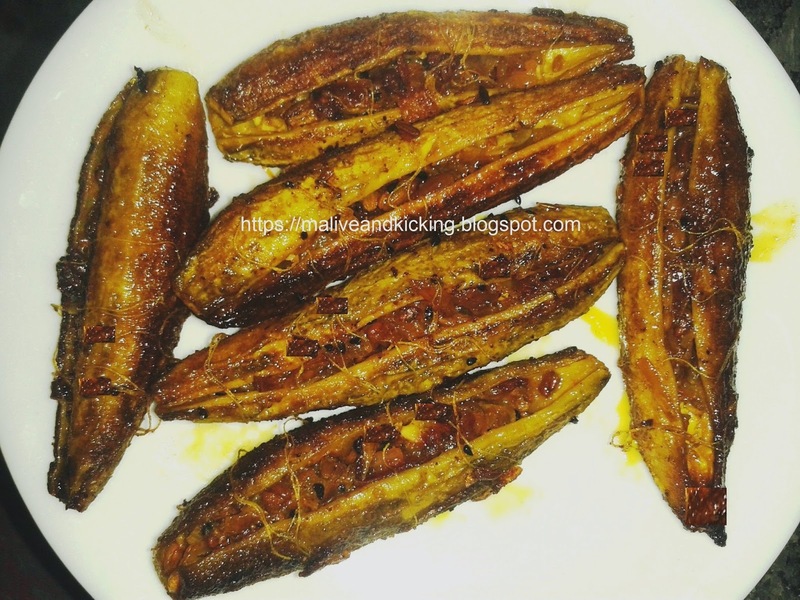 Rub some salt with your hands on the karelas and keep them aside for an hour or so. It will minimize the bitterness of karelas to certain extent. 2. 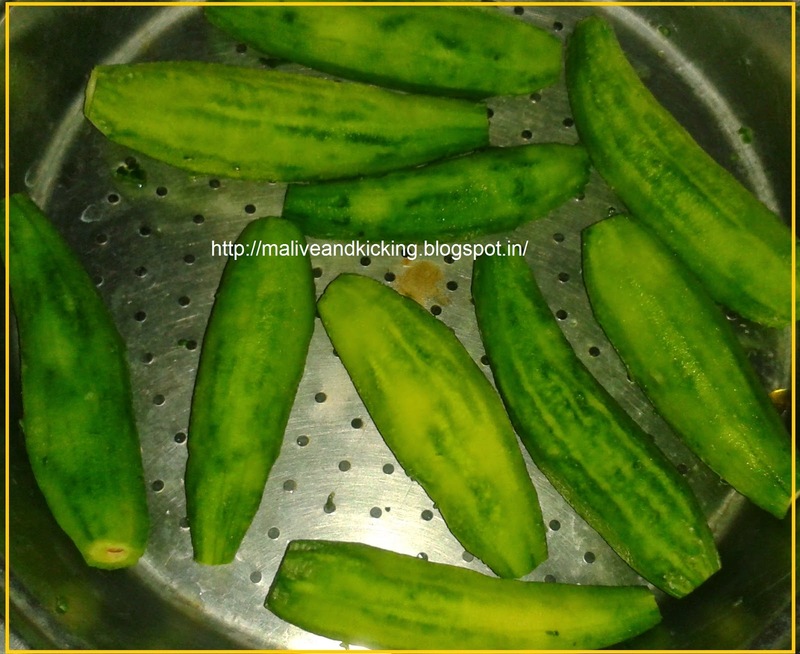 After some time, you will notice a li’l watery liquid on karelas which you should squeeze by pressing them in your hands. 3. 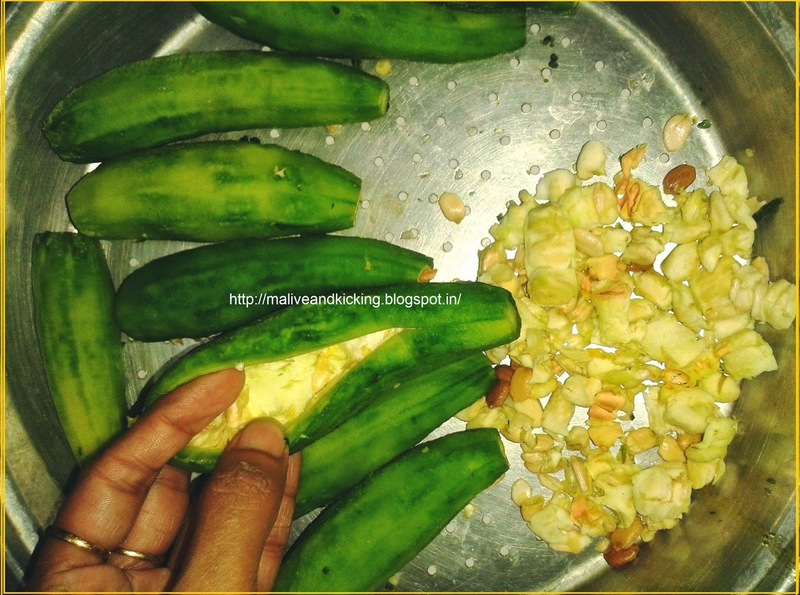 Now, slit each karela lengthwise with a sharp knife and scoop out the seeds insides carefully creating a hollow. 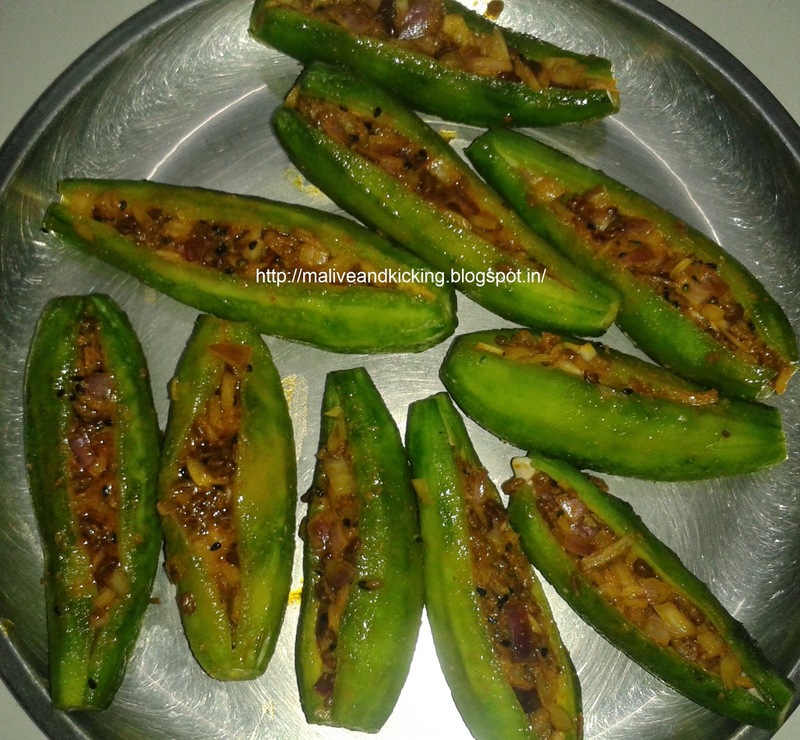 (if you like the crunchy taste of its seeds, then the soft seeds can be left as it is) You can again rub a little salt inside the karela and keep aside for 10 minutes for better taste. 4. Mix the chopped onions, mango pickle mixture, salt, turmeric power, red chilli powder, coriander powder in a bowl to get the stuffing ready. 5. Now, fill in the stuffing liberally in the karelas. 6. And I tie the karelas with thread around them so that the stuffing does not roll out while being cooked. 8. 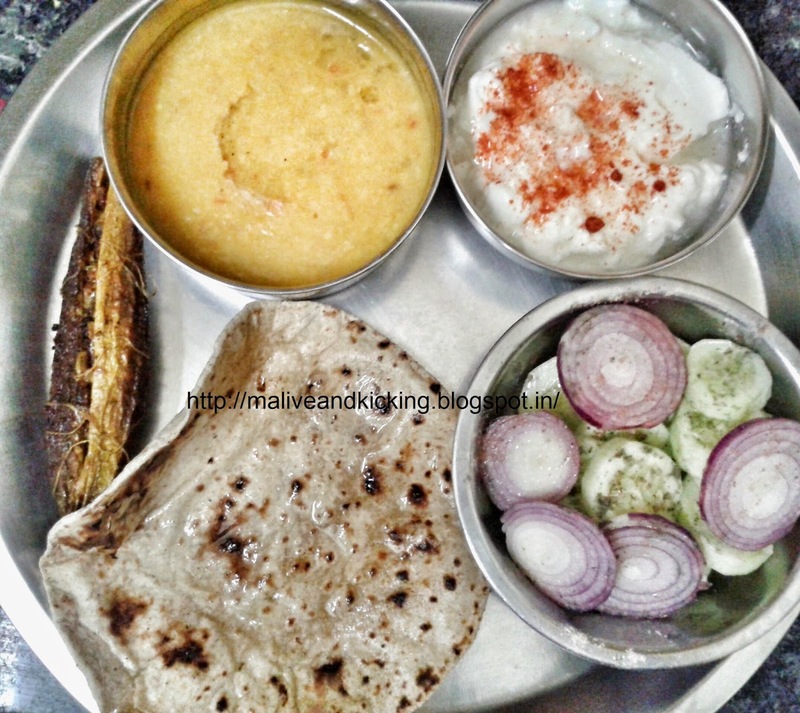 If some of the onions do come out while cooking as in the picture below and get burned, take them out with a spoon so that they don’t stick to the karelas. 9. 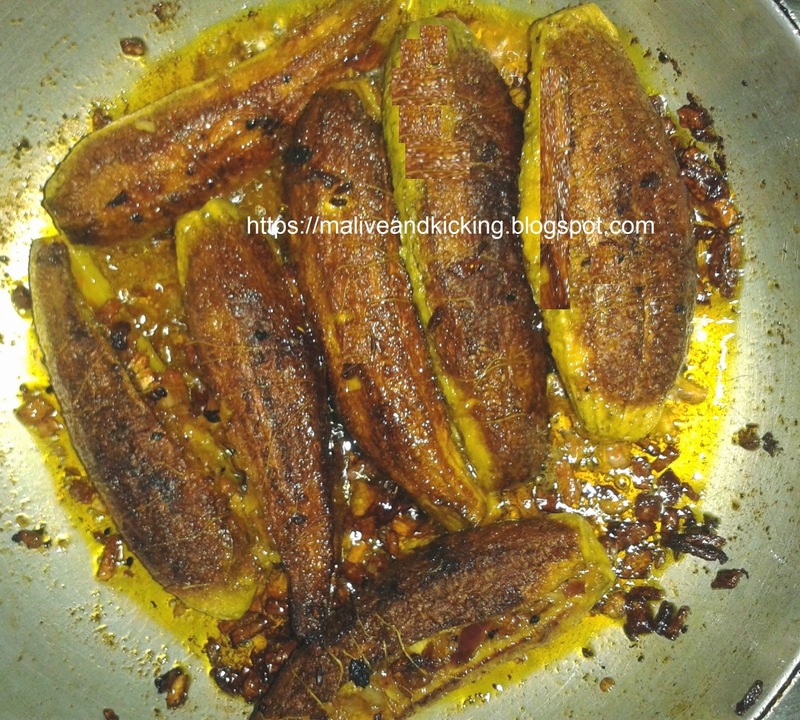 Keep the karelas turning around till they turn golden brown from all the sides. Happy Cooking, Healthy Eating !! !